PORT OF SPAIN, Trinidad and Tobago. A fifty-seventh minute set piece goal from Diego Reyes was enough for Mexico to take all three points out of the Hasley Crawford Stadium, defeating hosts Trinidad and Tobago 1-0. It was a win that would leave Mexico (3-1-0, 10 pts) on top of CONCACAF’s final Hexagonal phase of World Cup qualifying through the end of Matchday 4. For Trinidad and Tobago, (1-0-3, 3 pts), it was a missed opportunity to move up in the table. With Panama (1-0-2, 3 pts) still to play and Honduras (1-1-2, 4 pts) picking up points, the result has a chance of rooting the Soca Warriors to the bottom of the CONCACAF “Hexagonal” table. El Tri opened up the match well, electing to attack their hosts from sustained spells of controlled possession. 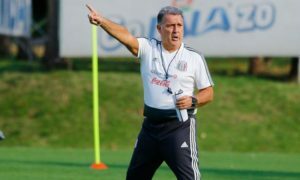 But they could not find many chances off of their possession, as Dennis Lawrence’s side played deep, and was there to read the slips Chicharito, Raul Jimenez, and others had. The best chance of the first half looked like the opener for the Soca Warriors, with Kenwyne Jones finishing off a counter attack off of a botched Mexico set piece. But Jamaican referee Valdin Legister ruled that Trinidad and Tobago captain was offside when Cordell Cato played him in alone on goal off of a 2-vs-1. On replay, it looked like Jones might have been less offside than what Legister had to react to at match speed. When the second half started, El Tri started to play more incisively with their possession and opportunities on goal. And in the 57th minute, they finally converted one of those opportunities. Off of a corner kick delivery by Miguel Layun, Diego Reyes fired a headed shot past Jan-Michael Williams to give Mexico the 1-0 lead. The goal was also Reyes’ first senior international goal. Several minutes later, Javier Hernandez came close to setting a new Mexico goal-scoring record, but he could not place his sharp-angle shot on target, with space to shoot. 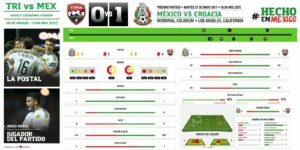 But after the 70th minute, neither team created any notable goal-scoring chances, as Mexico elected to finish the game in a tight defensive posture. 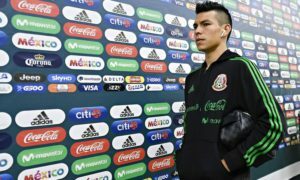 However not all was good news for El Tri, as Carlos Salcedo and Raul Jimenez both had to be subbed off due to injury. Salcedo went down in a heap after a high tackle from Kevin Molino resulted in Molino laying his boot on Salcedo’s ankle in the 53rd minute, while Jimenez was seen limping shortly after. 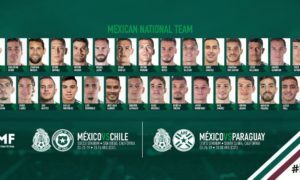 ‘Chicharito’ and Salcedo returned to the pool of players at risk for yellow card suspensions as well, picking up bookings, joining the likes of Hector Moreno, and Carlos Vela as the remaining El Tri players at risk of suspension due to yellow card accumulation. 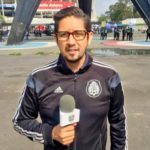 El Tri resumes its World Cup qualification campaign on Friday, June 8 when they host Honduras at the Estadio Azteca, while Trinidad and Tobago travels to the United States to take on the Stars and Stripes that same day.